Trakdesk robust Event-based Automation feature lets you perform specific actions within your helpdesk when certain events occur. You can setup a series of events, who it should be triggered by and what actions should be carried out. There are many ways in which you can use event triggers to your advantage. 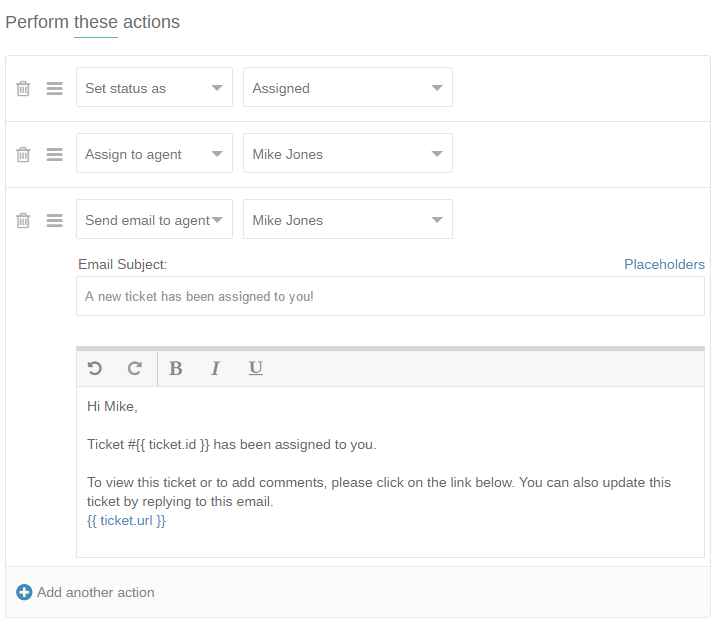 For example; you can create an event trigger to send an email to the ticket requester when an agent changes a ticket status to assigned, automatically assign new incoming tickets to a specific agent or automatically alert you when a customer has replied to a ticket. Event - The user based action or change that should trigger the rule. Example: when a new ticket has been created in your helpdesk. Events Performers - Which user interaction should trigger the rule. You can choose between agents, the ticket requestor or Anyone. If the ticket was created by Anyone. Conditions - The criteria a ticket must meet before the automation is executed. You can setup up to three (3) groups of conditions in a single Event-based Automation, allowing you to customize each of them to meet your exact needs. Note: Custom ticket fields are also supported in event-based automation conditions. Actions - The actions you want to execute. Then, set the ticket status as Assigned, assign the ticket to Mike Jones and send him an email notification to let him know that a new ticket has been assigned to him. 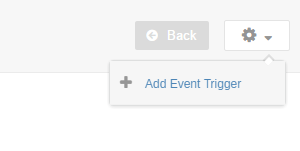 Select the Event-based Automation option. At the Top Right of the page, click on the drop down menu and select Add Automation. On the add Event-based Automation page, enter a name and description for the automation and configure it with your preferences. Finally, click on the Submit button to add the automation. Note: Event-based Automations are executed on a first match, first execute bases, so the order of the trigger is important.